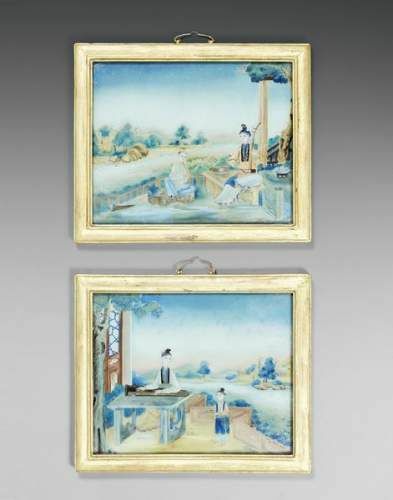 Bonhams next sale of 19th Century Paintings on April 22nd has a number of intriguing paintings that come with stories of their own. They include a painting discovered in a Sussex Working Men’s Club broom cupboard which is set to make £7,000; a watercolour that is clear evidence of John Constable’s admiration of female beauty, something which became less obvious in his art once he was firmly established as a landscape painter; and an image of a young British aristocrat whose unknown Australian relative would inherit his title centuries later. The artist Sir Thomas Lawrence (Bristol 1769-1830 London) painted this image of Lord Thomas Pelham-Clinton, in 1790 when the boy was just four years old.This pencil, charcoal and coloured chalk drawing is estimated to sell for £10,000-15,000. The sitter, Lord Thomas Pelham-Clinton (1786-1804) was the second son of Thomas 3rd Duke of Newcastle and the 10th Earl of Lincoln. 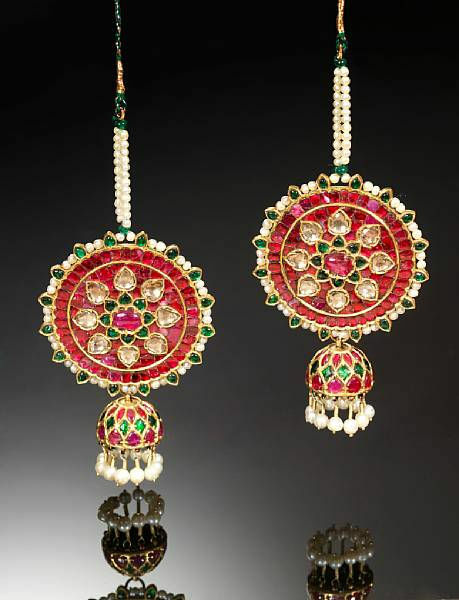 He was a Lieutenant in the 1st regiment of Life Guards. Lord Thomas was posted to Gibraltar some time in 1802 where he died in 1804 at the age of eighteen. The title of the Duke of Newcastle passed through the family and upon the death of the last Duke of Newcastle in 1988, it was thought that the title had become extinct. But after an English newspaper researched the Dukes of Newcastle they found that an Australian engineer, Edward Horace Fiennes-Clinton, was a distant relative of the last duke and subsequently inherited the title of 18th Earl of Lincoln. Another interesting item in this sale is lot 75, is a watercolour with a difference by John Constable RA(1776-1837). It is a very rare work, because of its size as Constable sketches of women tended to be on a much smaller scale. Constable clearly appreciated female beauty and spent much time sketching young women before he became so well-known for his landscape art. In his early career he made a number of very intimate, delicate, drawings and water colours of young ladies. This portrait of Miss Ann Hobson is estimated to sell for £9,000-11,000. It was owned by Robert Moubray, brother-in-law to Ann Hobson and came through the family by descent. John Constable spent over two weeks during June and July 1806 at Markfield House, Tottenham, as a guest of William Hobson. He made a number of sketches of William Hobson, his wife, and at least six of their sixteen children including five of their daughters; they were Ann (b. 1785), Susanna (b. 1786), Laura (b. 1788), Lydia (b. 1789) and Emma (b. 1791). He made large number of drawings of the daughters, many of which can be seen in two intact sketchbooks (one in the Louvre, the other at Yale). 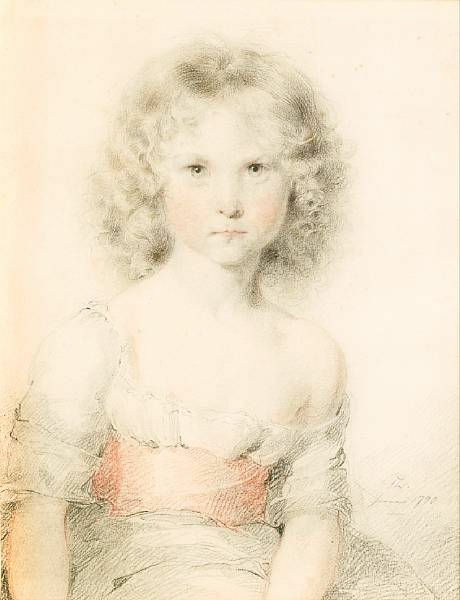 Most of the sketches of the girls were hastily executed, on a small scale and in pencil. 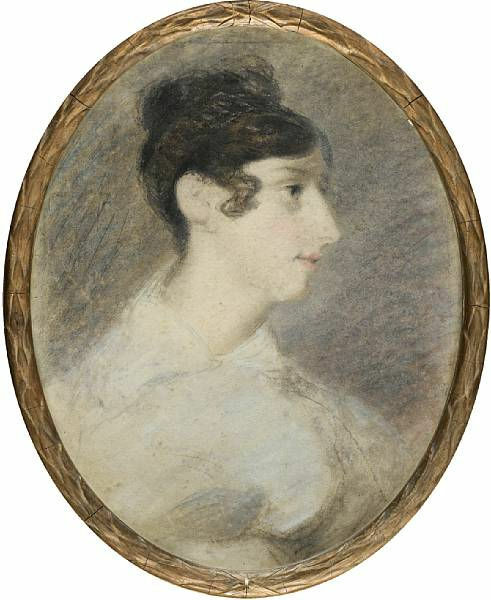 The present lot is larger and in watercolour and is similar to a large portrait made by Constable of Laura Hobson in 1808 after her marriage to Robert Moubray. Lot 87 is a ‘discovery’, found in the corner of a broom cupboard in the basement of a Working Mens Club in the South East of England. 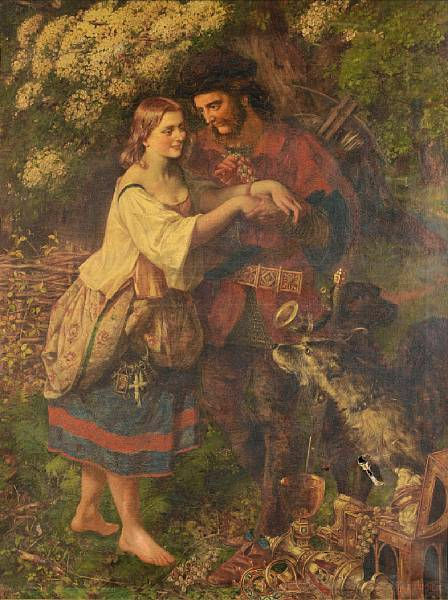 The painting by Thomas Frank Heaphy (British, 1813-1873) depicts Robin Hood and Maid Marian. An oil on canvas it is signed and dated 1866. The picture is expected to sell for £5,000-7,000.